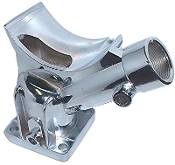 This is the nut that holds the stock oil filler to the altertnator/generator stand. Don't forget to order the seal! 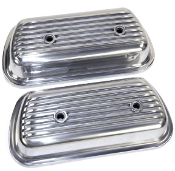 Considered by many to be the strongest and best valve covers ever made, Bugpack valve covers are the best we sell. 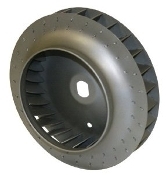 They offer excellent clearance for high lift rockers and big camshafts. They come with a cast in boss for threading in valve cover vents. Sold in pairs. 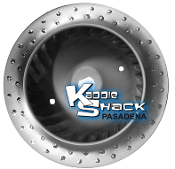 Quality MADE IN USA billet fuel pump block-off plate, laser-engraved with the Kaddie Shack logo. Comes with stainless steel allen head mounting bolts. 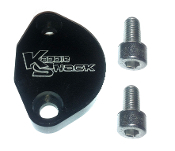 Allows you to block off the current fuel pump area on the engine case so you can run an electric pump. Fully anodized for years of good looks. 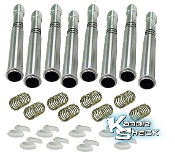 Spring-loaded push rod tubes allow you to change them with the cylinder heads still on the motor, and the motor still in the car! Double o-rings prevent leaking between the tubes when assembled. Replace those old rusty dirty leaking push rod tubes while you have your heads off. Don't forget to order our special silicone seals, too! Replace those old rusty dirty leaking push rod tubes while you have your heads off. Don't forget to order our special silicone seals, too! Sold each. 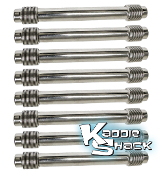 These stock style push rod tubes are made of stainless steel, so they will not rust. Sold in sets of 8. Don't forget to order the silicone seals to match! Inline-8 Fan Thermostat Put your oil cooler and fan on automatic. activates at 180oF. 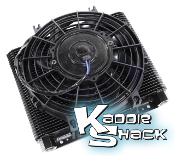 Stock Replacement Oil Cooler Keep your cool by replacing that old dirty, leaky Doghouse oil cooler with a brand new unit. 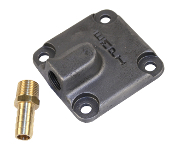 Dog House Oil Cooler Adapter When converting from the early style cooler, you will need this adapter. 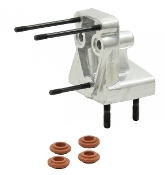 This adapter moves the oil cooler off to the side improving air flow to the cylinders. 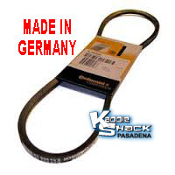 This belt is used with upright (Type 1) 12V engines with alternator. MADE IN GERMANY. HINT: Always carry a spare! 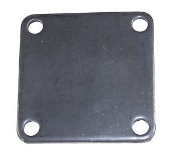 This belt is used with upright (Type 1) 12V engines with generator. MADE IN GERMANY. This belt is used with upright (Type 1) 6V engines with generator. MADE IN GERMANY. 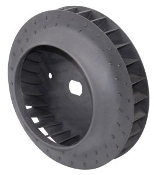 This is a replacement belt for the EMPI serpentine pulley systems. It may or may not fit other brands. Replace your old, cracked or lost screw cap. 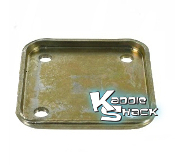 If your oil pump cover is warped, worn, or otherwise leaking, this heavy duty OEM VW style cover is an excellent replacement. it is super thick like the original and will not warp when torqued. steel oil pump cover for full flow system. Fits all VW pumps with 8mm bolt holes. 1.1:1 rockers has floating centers which help setting side play a breeze. These rockers are not assembled allowing you to fully adjust as you set side play.